Last year, I was extremely cautious with everything I purchased. I got really selective with everything I got and made sure that I most definitely needed them. 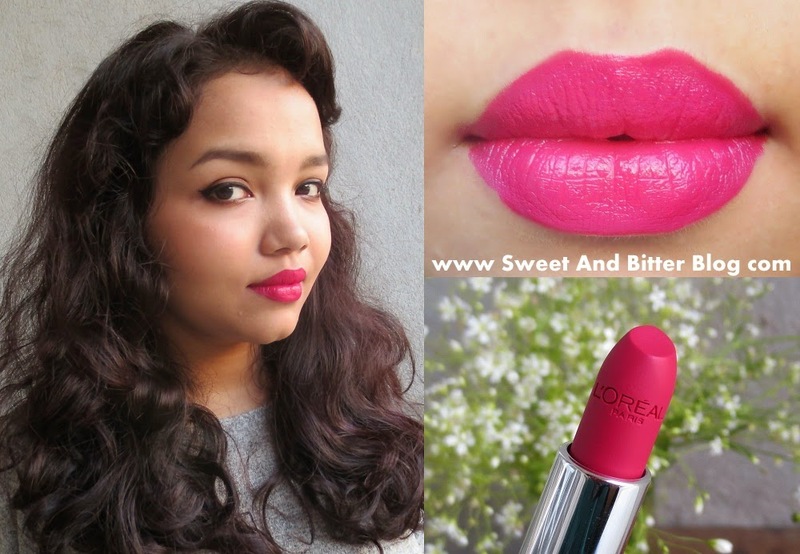 But, in December, while just browsing I discovered these new lipsticks at L’Oréal. Actually, this is not a new launch but a re-packed re-formulated version of the previous version. I absolutely loved one of the color – Rambling Rose. I picked it up. Then, I added another orange one to my bag. Went home and discovered that the SA gave me the older ones! On top of it, the new Rambling rose is completely different from the old one. I went back on the very next day and found that Rambling Rose was only present in testers and not in stock! So, I had to get two other lipsticks that were in stock. But, I could not resist and ordered Rambling Rose online. 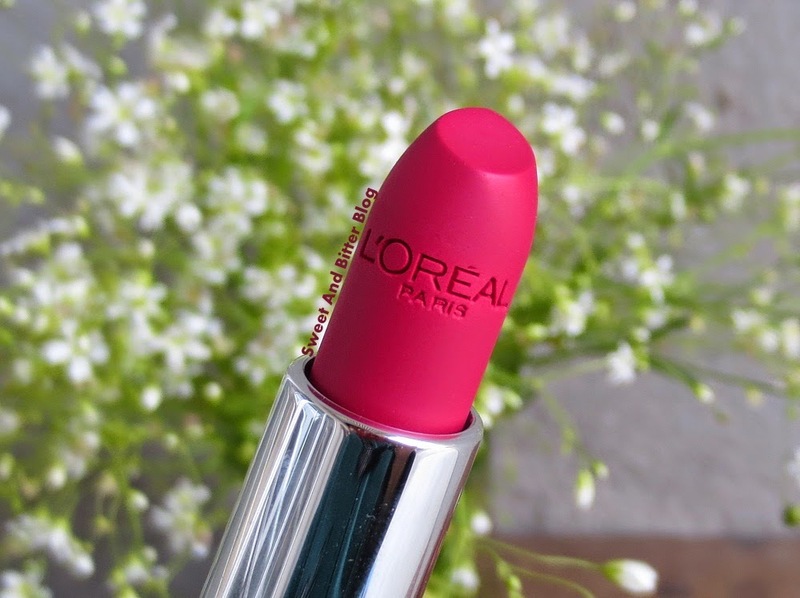 Packaging – The new packaging of L’Oréal has a black bottom with a colored cap matching the color of the lipstick color. The packing is sturdy. Color – All the colors are extremely pigmented and go opaque in one swipe. The colors are glossy and remain so till they fade. You can even use it as a stain. The colors does not have any shimmer/glitter. Please note that the old colors (even with the same name) are completely different from new ones. 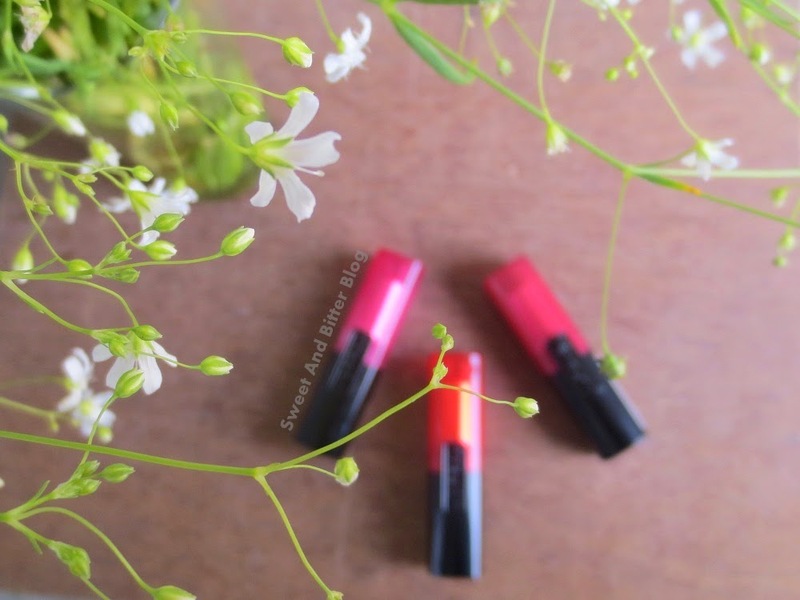 Stay – These lipsticks changed the way I looked at glossy lipsticks. I always had the notion that glossy ones fades away quickly and cannot survive. But, these are amazing! 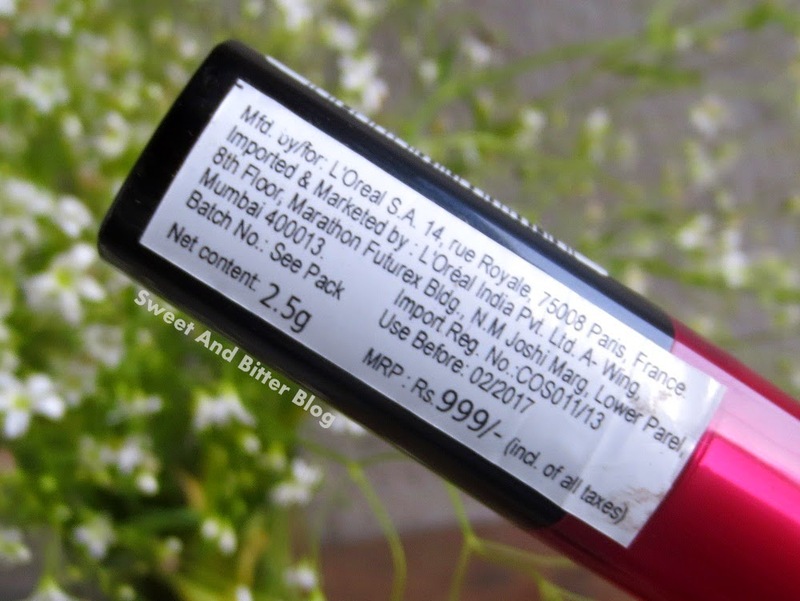 L’Oréal Infalliable lasts though light food and last around 5-6 hours with the glossy texture. Truly amazed! Totally impressed. 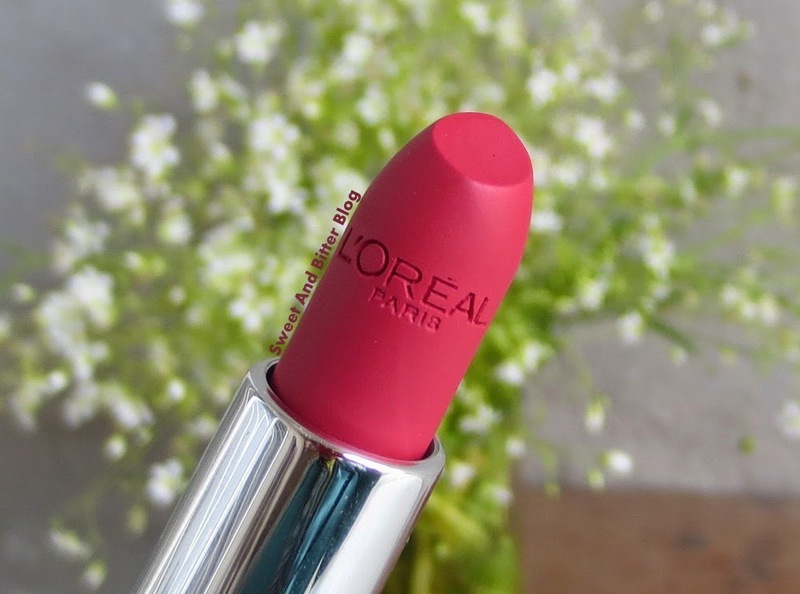 L’Oréal Paris Infalliable 212 Rambling Rose is a rosy pink. It is my favorite of the three. 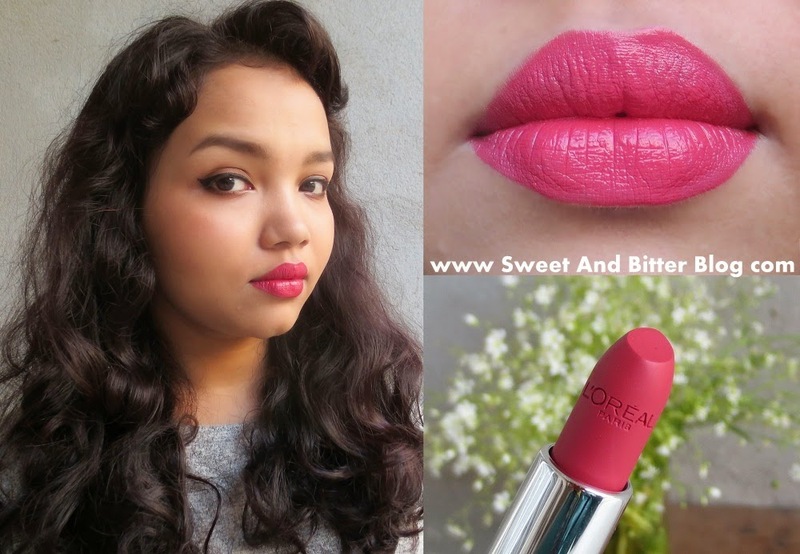 I do not own many rose lipsticks and I adore this. 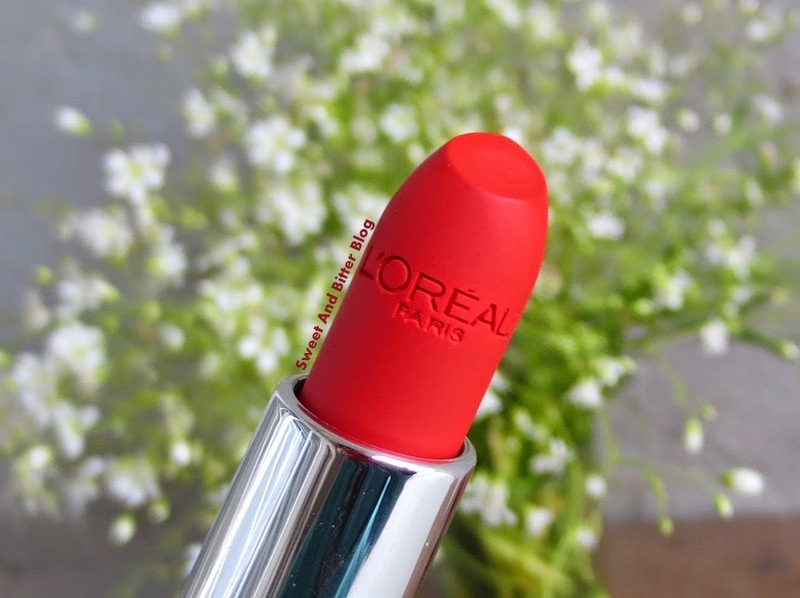 L’Oréal Paris Infalliable 421 Charismatic Coral is a glossy orange. There is a similar cooler tone color in this infalliable range - Always Apricot 425. 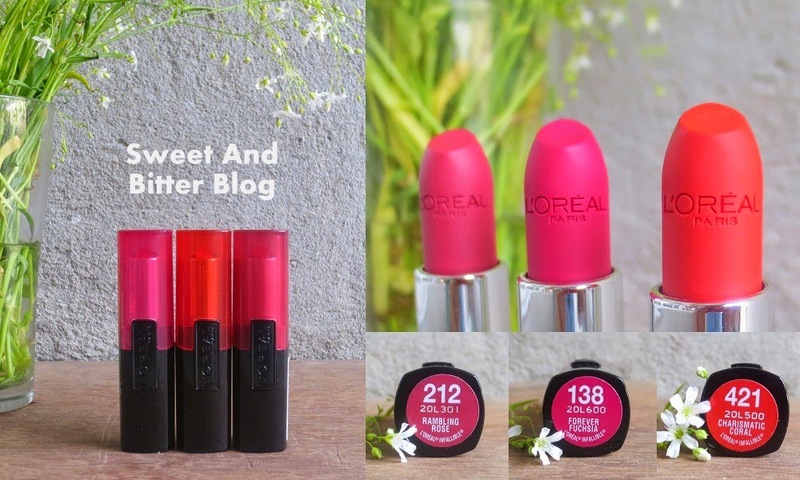 L’Oréal Paris Infalliable 138 Forever Fuchsia is a clean fushsia color. Full opaque coverage in one swipe. Perfect for pigmented lips. Moisturising and can be worn without a balm under it. Does not emphasize lines nor settle on lines. Very expensive. Almost Rs 400 per gram. I am glad that I got them on offers. The bullet does not entirely swirl inside. Around 3-4 mm sticks out but, I have almost worn it out. 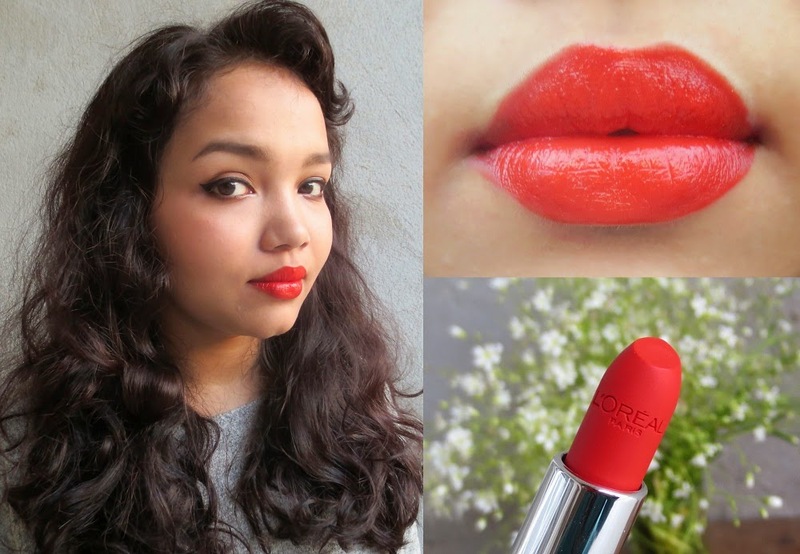 Overall – I am amazed by these L’Oréal lipsticks. 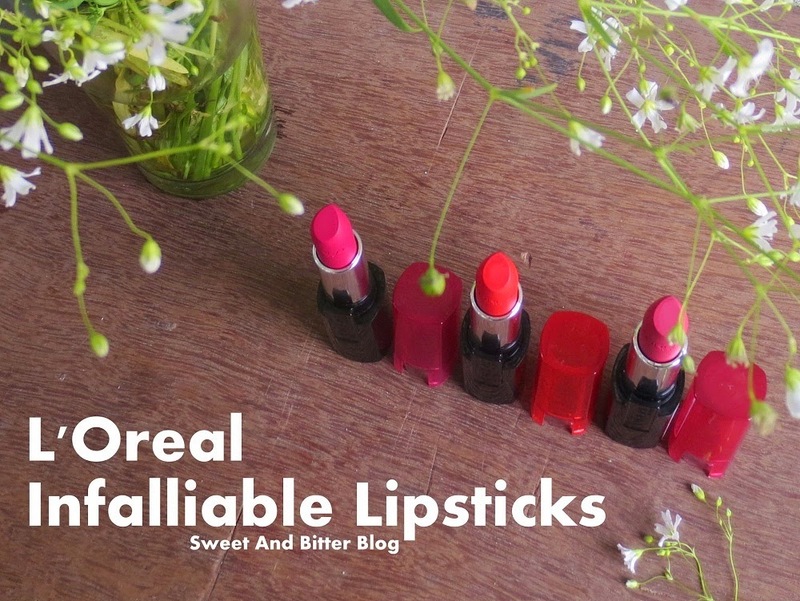 The lipsticks are comforting, moisturing, stays long and opaque in one swipe. If the price was not this much, I must have got few more. I will recommend if you can find this on any offers. 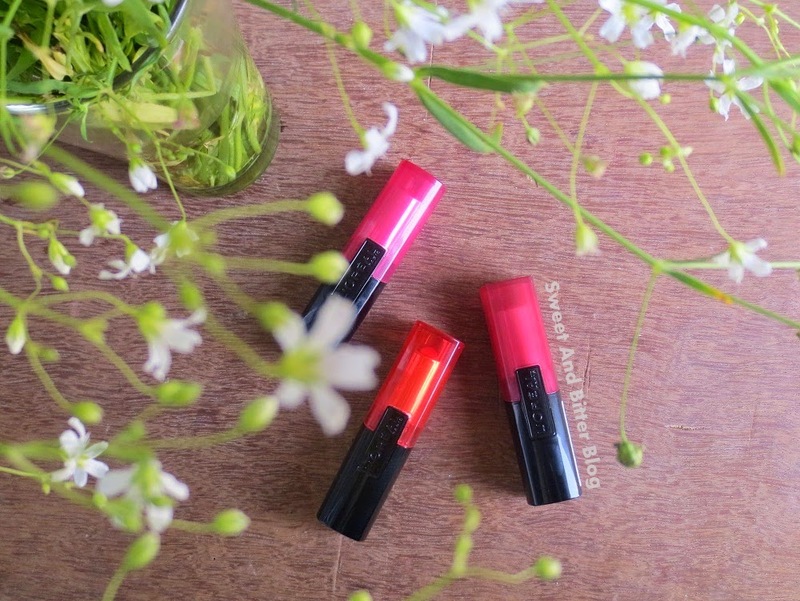 Do keep in mind that they have the lipsticks with same name in older packaging (transparent cap like the L'Oreal Caresse Lipticks) but the colors are completely different.